When it comes to law and order, East Texas plays by its own rules–a fact that Darren Mathews, a black Texas Ranger, knows all too well. Deeply ambivalent about growing up black in the lone star state, he was the first in his family to get as far away from Texas as he could. Until duty called him home. 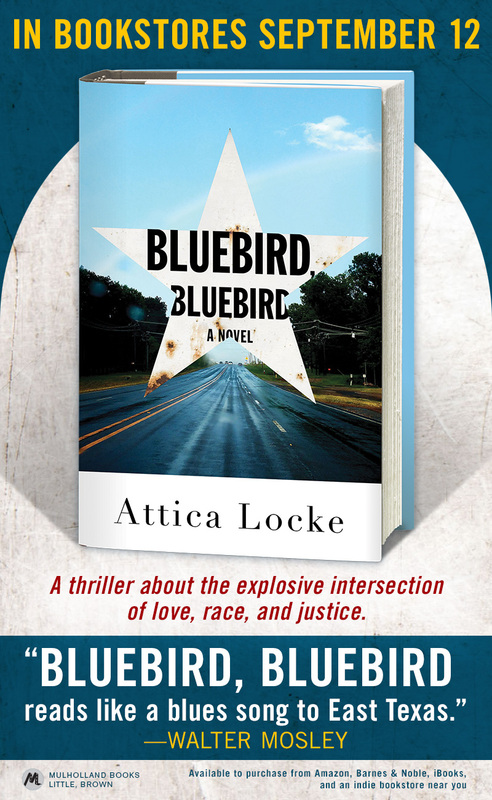 When his allegiance to his roots puts his job in jeopardy, he travels up Highway 59 to the small town of Lark, where two murders–a black lawyer from Chicago and a local white woman–have stirred up a hornet’s nest of resentment. Darren must solve the crimes–and save himself in the process–before Lark’s long-simmering racial fault lines erupt. From a writer and producer of the Emmy winning Fox TV show Empire, Bluebird, Bluebird is a rural noir suffused with the unique music, color, and nuance of East Texas. Entertainment Weekly Says Bluebird, Bluebird is One of This Fall’s Must-Read Books! 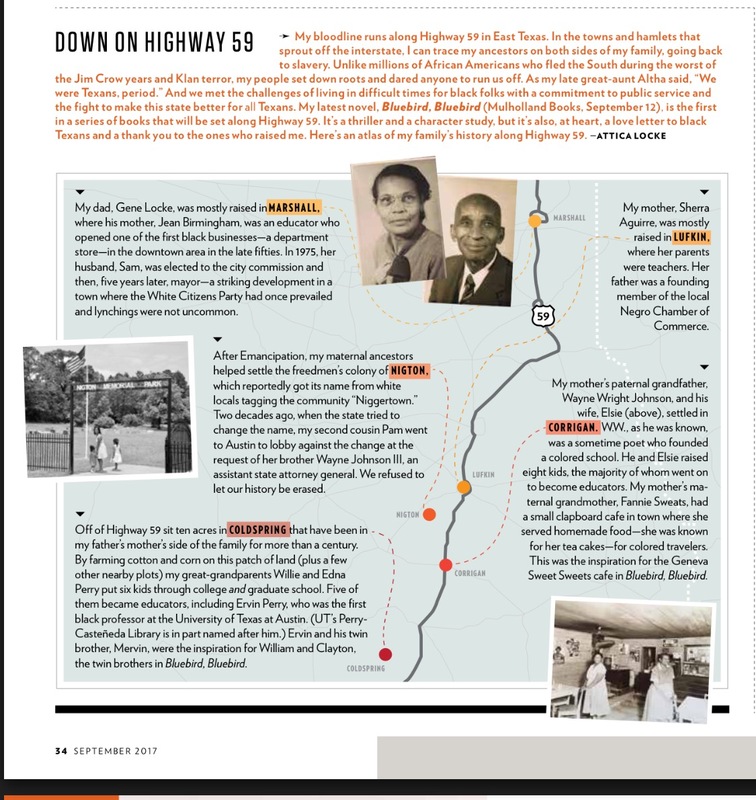 Texas writer Attica Locke rolls out the first of a series of books set along Highway 59.